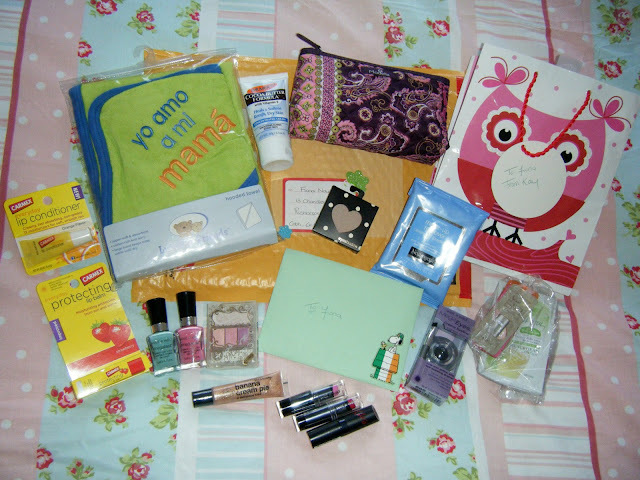 My American pal Kay and I are both into beauty products and makeup so we decided to do a beauty product swap. Getting these types of packages is so much fun, especially when you get products that you've never used before. 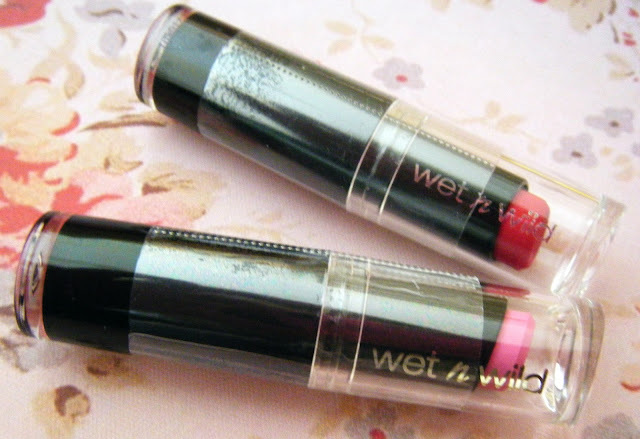 Kay sent me lots of Wet n Wild products, a brand which I have never used but I'm excited to try out some new looks with my lovely new products. Let me show you what I received. 1. Carmex Lip Conditioner in orange flavour and a Carmex Protecting Lip Balm in strawberry flavour. 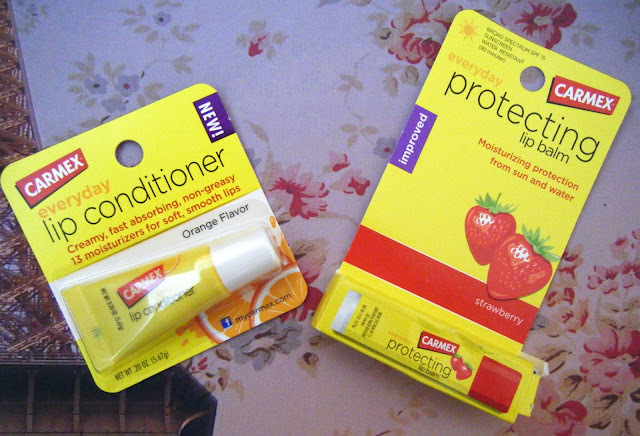 These are great for me as my lips always seem to be dry no matter how much water I drink or what the weather is so hopefully these will help me get smooth lips again. 2. Two Wet n Wild nail polishes in Candy-licious and I Need A Refresh-Mint. The mint coloured polish is a perfect match for the dress I am wearing to Tyler's christening so yay for that! The pink polish is totally me, I am such a pink-a-holic and this is such a girly shade! 3. 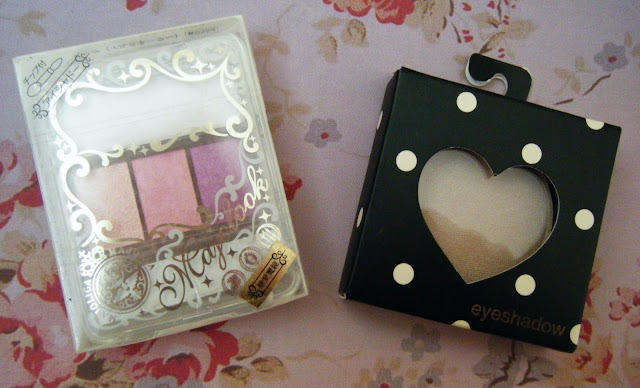 An eye shadow trio from Asian brand Majolica Majorca and a beige coloured eye shadow from Forever21. The eye shadow trio has the most gorgeous colours and the Forever21 shadow will be perfect for a subtle day look. 4. A Banana Cream Pie flavoured lip gloss from Forever21. Cannot wait to try this out! 5. Kate Moss for Rimmel lipstick in shade 90. I love the light red hue of this and Rimmel lipsticks always smell so divine to me! 6. Two Wet n Wild lipsticks in shades Dollhouse Pink and Cherry Picking. I have a feeling that these will be my staple summer lipsticks of choice. Dollhouse pink will look gorgeous with the Candy-licious nail polish which Kay also sent me. 7. 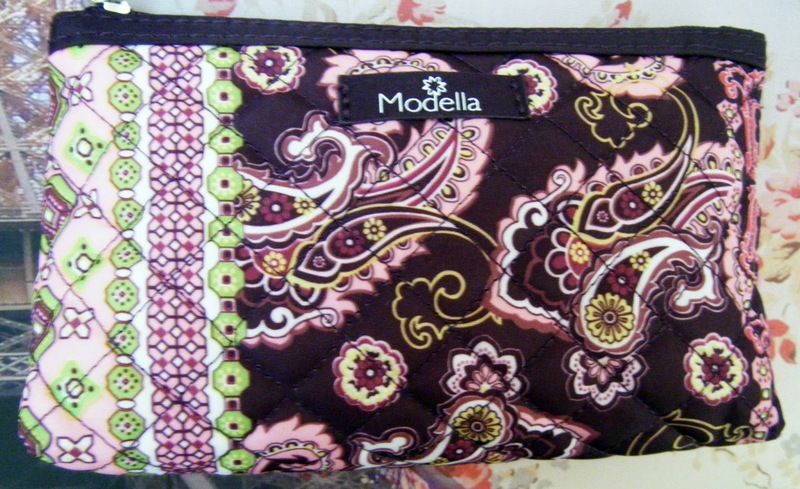 A gorgeous makeup bag. This is the perfect size for popping in my handbag so I shall be making it a welcome addition and adding my travel makeup products to it. 8. Palmer's Cocoa Butter Formula - this is great for me as my skin has been so dry lately. I love Palmer's products, I use their skin oil a lot. 8. Wet n Wild 'Mega Eyes' Creme Eyeliner. I can't wait to try this out, I've never used a creme eyeliner before so it shall be an experience to say the least! 9. Neutrogena Makeup Up Remover Cleansing Wipes. I used one of these for the first time last night and I have to say they are excellent! Review to come. 10. 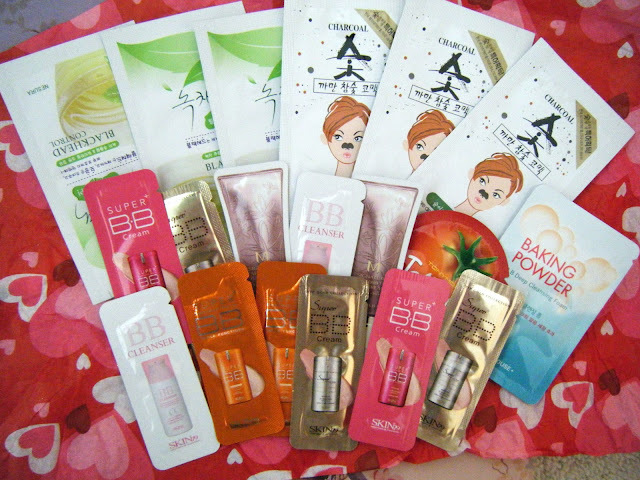 A mixture of beauty sample goodies including Korean BB Creams and nose strips. Kay has been raving out Korean BB Creams so I am looking forward to giving some of these a go. The nose strips are always handy too for deep cleansing.